A 5.9 magnitude earthquake began in Virginia and shook the entire east coast on Tuesday, August 23rd around 2pm. Despite the shaking and aftershocks, most data centers have reported to be operational according to Twitter. Most web hosting providers and data center operators post status updates via the social networking service. Buildings in Boston, Washington, New York City and Philadelphia were evacuated immediately following the earthquake. Also, a Virginia-based nuclear power plant initially lost power but continues to operate on reserves. This large quake (by east coast standards) has brought an interesting question to the table, how should data centers equip themselves to manage natural disasters? Earthquakes can occur at any time in almost any region regardless of the location of a data center facility. Therefore it is critical for data centers to be prepared for every natural disaster imaginable. Following the quake, it was reported that the data center for HostGator experienced disruptions which resulted in slower-than-normal connection speeds. Also, Hosting.com reported that it felt the earthquake at its location in D.C. but all equipment is online and functional. Additionally, another hosting provider, PEER 1, tweeted that the data center had not been affected by the earthquake. Furthermore, ServInt, Carpathia Hosting and ICANN tweeted that their services were functioning the same as prior to the quake and all employees are unharmed and accounted for. In another tweet from Windows and Android phone development community XDA Developers, they stated that their systems could be slow for several hours as a result of the earthquake but several data centers would be shut down. However, the company did not specify which data centers went offline. Additionally, PAETEC, Contact Solutions, Razor Serves and Amazon Virginia also announced that they continue to be operational. Like all earthquakes this was an unexpected hit against the Eastern portion of the United States. Luckily no major damage or injuries were reported. The ground simply rumbled for several seconds and then stopped. Once evacuations were cleared, business continued in major cities and remained operational. This natural disaster proves that data center across the east coast are ready for anything Mother Nature throws at them. 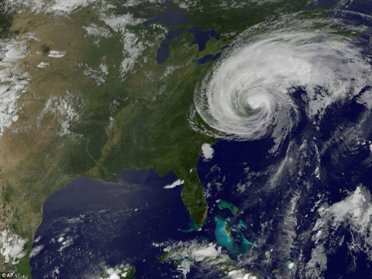 With upcoming Hurricane Irene in the next several days, the data centers across the east coast will certainly have another chance to prove their durability and preparedness.